Effective from 1 July 2018, if you are aged 65 or over, and you sell your principal home, you could be eligible to make a downsizer contribution of up to $300,000 ($600,000 combined for a couple) into your superannuation account. DON’T LEAVE SAVING FOR RETIREMENT TOO LATE! One of the most critical pieces of legislation introduced towards the end of last year was the Downsizer Contribution Bill. In our Trade Secrets edition (October 2017), we outlined some of the advantages and disadvantages of holding excess funds above $1.6 million within superannuation following the introduction of the Transfer Balance Cap (TBC) from 1 July 2017. THE $1.6 MILLION TRANSFER BALANCE CAP – DO I LEAVE THE EXCESS FUNDS IN SUPERANNUATION OR NOT? 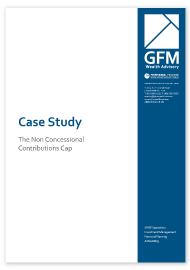 Prior to 1 July 2017, an individual could have an unlimited amount of money invested in superannuation and if running a pension, pay no tax on any income or realised capital gains. TRANSITION TO RETIREMENT PENSIONS – ARE THEY STILL WORTH IT? As a follow up from the article in the August 2016 Trade Secrets “Changes to the Centrelink Assets Test: January 2017” by Bree Hallett, covering changes to the Assets Test thresholds may have an impact on your current Age Pension entitlements. This follow on article discusses ways to combat the upcoming reduced asset test limit. In the May 2016 edition of Trade Secrets, we discussed the benefits of transferring assets held in your personal name, to a Self-Managed Superannuation Fund (SMSF). As you may be aware, when determining a person’s Age Pension entitlements, Centrelink apply two tests – an Asset Test and an Income Test. In true government style, the test that produces the lowest entitlement dictates how much Age Pension a person will receive. Many of our clients often ask us the question: When is the best time to retire? Michael and Glenys were referred to our firm recently as Michael was about to turn 55. All too often we procrastinate over financial decisions and panic when the event occurs. This is an all too common scenario for aged care. This is a real life case study of an individual that was referred by her son & daughter that serves as an example of the value of advice in this area. This is a case study regarding a potential new client that was referred to us in the early months of 2008, just before the GFC really set in. When we reviewed the portfolio, we concluded that it was of fairly poor quality and not suitable for someone in the retirement phase. There wasn’t enough focus on income generation, and the portfolio was poorly diversified.